This eclectic knob by Richelieu will add a touch of luxury and sophistication to your kitchen or bathroom cabinets. With simple yet refined styling, this metal and ceramic knob will add elegance to any classic design. 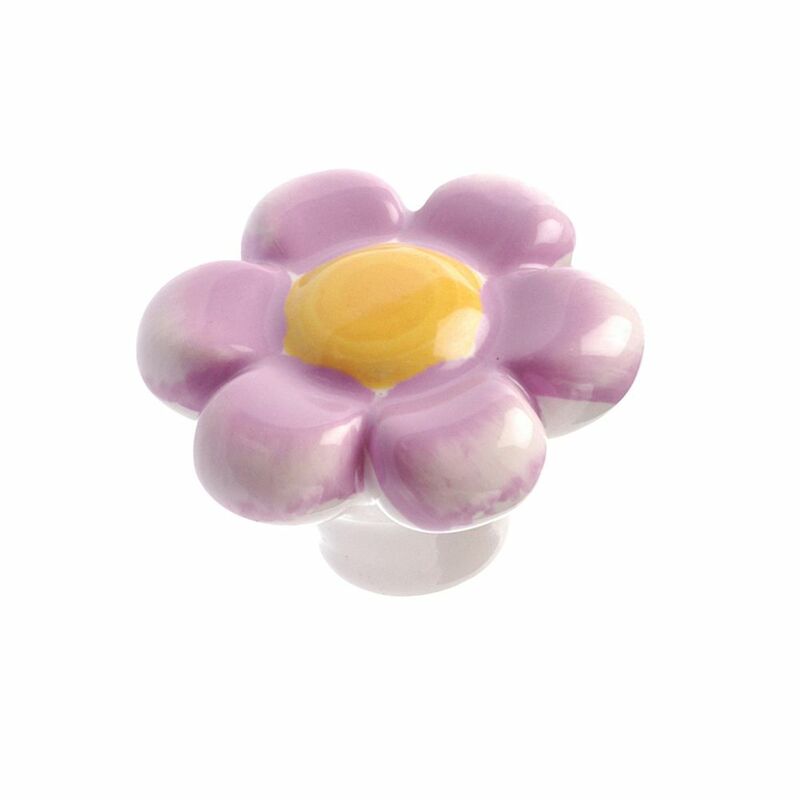 Eclectic Ceramic Knob 1 9/16 in (40 mm) Dia - Pastel Purple - Bourges Collection Eclectic flower-shaped plastic knob by Richelieu. This product exudes playfulness and is a great choice for a child's room. Eclectic Ceramic Knob 1 9/16 in (40 mm) Dia - Pastel Purple - Bourges Collection is rated 5.0 out of 5 by 3. Rated 5 out of 5 by Marian from Exactly as seen online Very pleased with the knobs. Bought for cabinet i refinished for doll collection display. So pretty! Rated 5 out of 5 by Computerguy19 from Very Nice Knobs To Add Character to a Dresser or Cabinet I replaced the standard wooden knobs that came on my daughter's dresser with these knobs and it looks fantastic. A nice custom look that was very inexpensive. Rated 5 out of 5 by Bargainmomma from Adorable!!!! Love the knobs!!! Love the knobs! My daughter wanted white bedroom furniture and I changed out all the knobs and these look awesome! Good price and quick delivery!